When deciding on what company to choose for your coverage, the key factor in finding the best life insurance is knowing who the best life insurance companies are. At TermLife2Go, we work with dozens of top rated companies, offering exam and life insurance with no medical exam. You might be considering Forethought Life as the company for you. If so, give us a call today to see if they truly are the best fit based on your unique need, health and lifestyle. If you have spent some time looking for the right life insurance company, you may have come across Forethought Life Insurance Company. 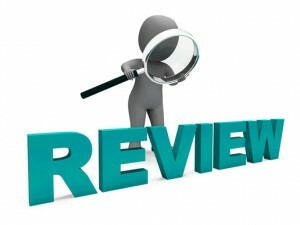 Now you have found your way to this review with one question in mind: is Forethought a good life insurance company? We at TermLife2Go will do our best to provide you with the information you need to know so that you can decide whether or not to purchase a life insurance policy from Forethought Life Insurance Company. Forethought Life Insurance Company is a part of Global Atlantic Financial Group Limited, and has been since 1985. At the end of 2014, they had $4 billion in assets. Forethought has offices in Connecticut, Pennsylvania, Indiana, and Texas. As the name suggests, forethought is a core value—the company believes in always thinking about the future, and for them, that means helping people to have solid life insurance policies in place for their loved ones. Over the last 30 years, they have insured over two million people. Third party rating organizations can tell you a lot about a life insurance company. Because rating agencies thoroughly investigate many facets of a life insurance company, their opinion matters. Forethought Life Insurance Company has good ratings with three of the most prominent ratings agencies: Standard & Poor’s, Moody’s and AM Best. This consistent rating shows that Forethought has good financial health and their outlook for the future is positive. Final expense insurance available for age 50-80. Face amounts available from $5,000 to $30,000. Forethought’s preneed insurance coverage is designed to cover burial, funeral and last rites. This is a basic policy for those who are not looking to offer their loved ones ongoing support through life insurance payouts, but simply want to make sure their final expenses and burial aren’t a burden that falls on anyone else’s shoulders. By purchasing Forethought Life Insurance Company’s Preneed Insurance Coverage you are acknowledging the expenses that come with dying, and taking responsibility for them yourself so that nobody else has to do it. This is one of Forethought Life Insurance Company’s special life insurance plans. When you purchase a TrustGuard Gold plan, you can not only cover your funeral costs, but you may also have additional funds to leave to your loved ones. In some states, TrustGuard Gold may also help you to protect against Medicaid look backs. This is not a guarantee, and will vary depending on the individual laws of each state. Is Forethought Life Insurance Company a good life insurance company? We know you’re probably looking for a short answer, and the short answer is yes. However, now that we gave you the answer you were looking for, don’t stop reading. We have a lot more to say about choosing a life insurance company. When you choose Forethought Life Insurance Company or any other life insurance company, you are limiting yourself to one policy and will only receive all it has to offer. Life is all about choices and with every choice comes a sacrifice of the alternate, so you need to be sure of your choice. Forethought Life Insurance is, as we said, a good life insurance company. However, is Forethought Life Insurance Company the right life insurance for you? Well, that’s a different question, and we can’t answer just yet. To know if a life insurance company is right for you, we need to start by knowing some things about you. If you give two different life insurance companies the exact same information about yourself, they will likely come to two different conclusions. That’s because life insurance companies have their own ways to calculate variables. One life insurance company may be a great company for someone else, but not the best company for you. So, when you ask us if Forethought Life Insurance is right for you we can’t answer that until we know the same information that insurance companies will base their decisions on. We then use this information against what we know about life insurance companies—and trust us, we know a lot—to determine which life insurance company is really right for you, and will offer you the best type of life insurance policy possible. TermLife2Go is a third party organization and we have extensive knowledge about dozens of the top life insurance companies in the United States. Thank you for reading our article, Forethought Life Insurance Review. Please leave any questions or comments below. After checking our records here at TermLife2Go, we were not able to locate your file. We leads us to believe you must be trying to contact Forethought Life Insurance company directly. To speak to Forethought Financial Group directly, you’re best be will to be to call 1-800-331-8853.